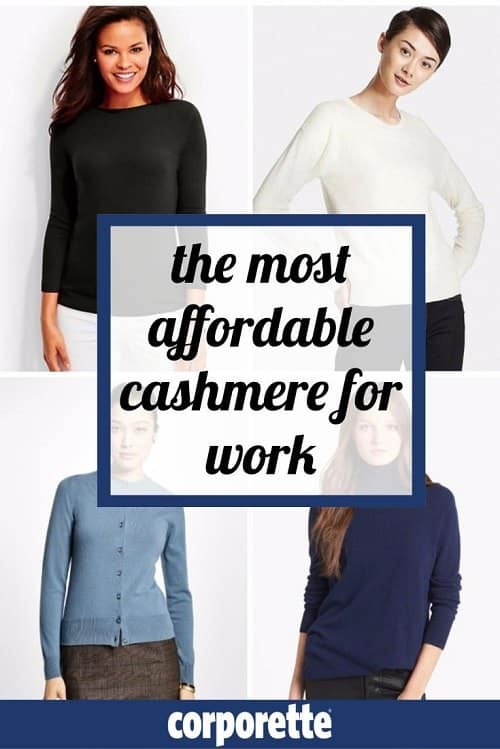 2018 Update: Hunting for affordable cashmere for work? You may want to check out our most recent roundup, with tons of great cashmere sweaters for work under $200. 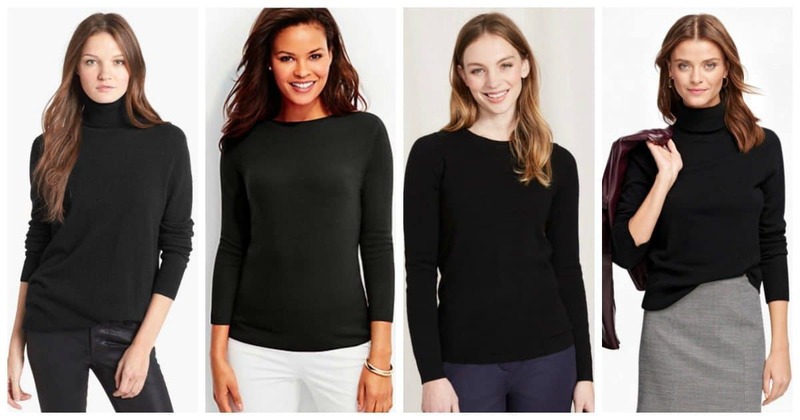 Which are your favorite affordable cashmere sweaters for work, ladies? Which ones do you reach for, for warmth, style, or comfort — and which have held up after laundering or dry cleaning? We haven’t talked about this in a while, and cashmere sales are starting (Neiman Marcus, Uniqlo, Lord & Taylor, and Nordstrom all have some crazy markdowns right now) — so let’s discuss. Pictured at top, clockwise: black / cream / navy / blue. Curious for past iterations of this list? 2016, 2015, 2014, 2012. I personally can’t stand the Lord & Taylor site for reasons like this — they’re having a crazy sale with lots of cashmere sweaters marked to $29, but they’re all on separate product pages so I can’t get you a great link. Still: I’m seeing lots of petite and plus-size pullovers, cardigans, and more, marked from $160ish down to $29. The pictured sweater is only available in size 1X, but here’s a link to a general search. 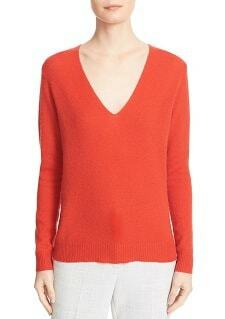 Readers, what brands and stores are your favorites for affordable cashmere for work? 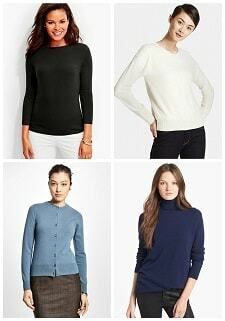 Which cashmere sweaters do you like to wear to work the most? Pictured below, clockwise: black / cream / navy / blue. The Equipment vneck in the looser cut (I think it’s called the Asher) is my favorite– I love the way it drapes. I also recently got two v neck cashmere sweaters from Macy’s generic line, Charter Club, that I’ve been pleasantly surprised by. Any tips for work travel to Mexico City? In my experience in other Latam countries, women tend to wear pantsuits more than skirts — can anyone confirm that’s what I should be bringing? I’ll be there for a few days, and I expect I’ll pretty much be in meetings the whole time, maybe dinners afterward. I’ll offer a counter opinion on the Halogen sweaters. I bought the crewneck cashmere in one of the Nordstrom anniversary sales, and it shrunk a little bit after each cleaning that after only about 5 or 6 wears (and not washing it every time), it went from being loose to the point of too-baggy to eventually being bodycon and crop top length. I know it was relatively cheap for cashmere, but that was still more than I wanted to pay for essentially a one-winter sweater. Still, I decided to give it another shot in the next anniversary sale, thinking maybe I was to blame for the shrinkage. But the style has changed to have the long slits on the sides, and it just wasn’t flattering on me. I had ordered an Equipment crewneck at the same time to compare, and the fit and fabric quality was just so much better that I felt like it was worth it to keep the Equipment version. So far it’s lasted beautifully, though I do admit I still wear the Halogen one under a vest (to hide the exposed tummy) when I want that color of sweater but will be around children, heavy shedding dogs, at a bonfire, etc.–all places I know I’d want to wash it after every wear. I have also recently had some disappointments with Halogen quality. I was pleased when I found their ankle pants worked with my pear shape, but after only a 2 or 3 washes (cold water, Woolite, hang to dry)their colors were so faded they didn’t look nice enough for workwear anymore. I had better luck with Loft curly fit. I was a huge fan of the Halogen sweaters and owned several in crew and V-necks. I asked my brother to get me the black crewneck for Christmas this past year and was SOOOO disappointed that they changed the banded bottom to a loose one with two slits on the sides. It’s a much more casual look and makes it very hard to wear with skirts. I don’t know if they changed the bottom on the V-neck as well. So sad because they were very soft and a great price point (you could get for around $50 on one of Nordstrom’s sales). I’m wearing an Everlane cashmere sweater dress today. I’ve gotten a few of their sweaters too, although one got a hole after two wearings. But super soft. I have that sweater dress too! Love it. 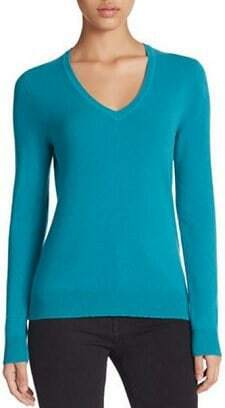 Has anyone ever bought ‘Pure’ brand cashmere? I found a great sweater years ago at T.J. Maxx and I’ve never found it anywhere else. 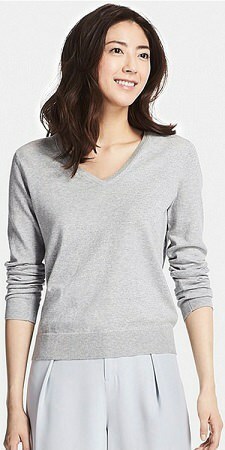 The label just says “Pure Cashmere” -grey label with white writing. There’s a separate 100% cashmere tag so it’s the brand name and not the material content. I believe it’s a UK company; maybe do a search? I know I’ve gotten a catalog at home. I found a British company online called “Pure” or “Pure Collection” but the label looked different and it said “Pure Cashmere” on one line. I never thought about it but maybe it’s the same thing and they were rebranding so that’s how the sweaters ended up at T.J. Maxx? I have a Pure Collection sweater and it is SO SOFT. I don’t recall offhand exactly what the tag looks like, but I think it matches the description of yours. Yes, it’s a UK company. 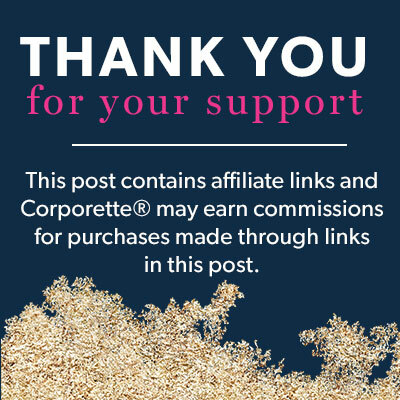 They tend to have decent promos, too–I’m not currently in the market for any cashmere, but next time I am I will almost certainly buy from them. They have excellent customer service, too. I need a longer (but not tunic length) open front black sweater. I want something that will last because I wear it every day but I want to pay under $100. Also, nothing see-through. Size 12/large. Anyone have suggestions? I have exactly this from Lord & Taylor – open front cashmere black cardigan, hits at mid/upper thigh. I bought it in fall 2015 and wore it nearly every day in the office during the winter until January, when I realized it was about to pop a hole in the elbow. Sadly, the stores were sold out when I went to look for a replacement. I’m sure they’ll carry it again next year. It was more than $100 though – I think $125 on sale. I have a drawer full of Eric Bompard. The prices are fair and they have several sales per year. They hand wash beautifully and pill little to not at all. Pure Cashmere is a UK brand that I believe is internet/mail order only. I’ve never tried the brand but have heard good things about it. Really can’t recommend them enough because they never appear on these lists, but Ralph Lauren. They have good sales right after Christmas. Their cashmere NEVER pills and is so soft! I have a thin cashmere cardigan from there that I have probably worn everyday for the last ~5 years (it sits in my office or gets thrown in my bag) and it does.not.pill. Despite its thinness, it never snags and keeps me warm and it’s somehow opaque and not sheer. It’s just woven with such high quality. Even my thicker cashmere sweaters from them hold up well. Meanwhile, my Vince, Equipment, and J.Crew cashmere always starts to look a little worse for wear after a couple of months. Seriously, it is magic. Get a sweater shaver! Or just a disposable razor. Super satisfying. 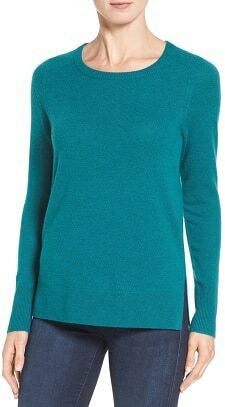 LL Bean does these 100% cashmere crew neck sweaters in a range of colors for about $120 each. they’re very very warm, and retain their shape well – even though I machine wash (gently cycle) mine regularly. The do pill a bit, but I have yet to encounter cashmere sweaters at any price point that don’t pill when I wear them. Ooooh, also, the Gleener Ultimate Fuzz Remover is the absolute best for removing pills. I can’t remember who recommended it to me, but i ditched all others and keep one at work and one at home now. I got a Lands’ end cashmere cardigan just after Xmas and it’s already pilling like mad. Bah. I used to have a Kirkland one that I got at a thrift store that lasted forEVER. Costco: worth considering! Woolovers has cashmere merino sweaters. The two I bought last year are soft and have held up well.